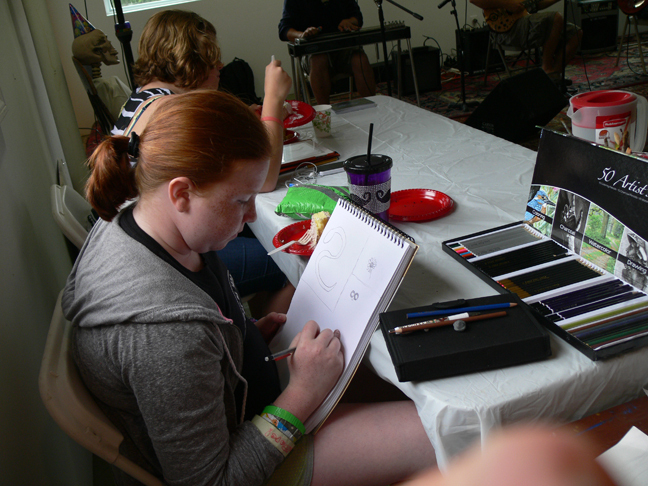 Thanks to those friends old and new who came out to listen, draw, and play! 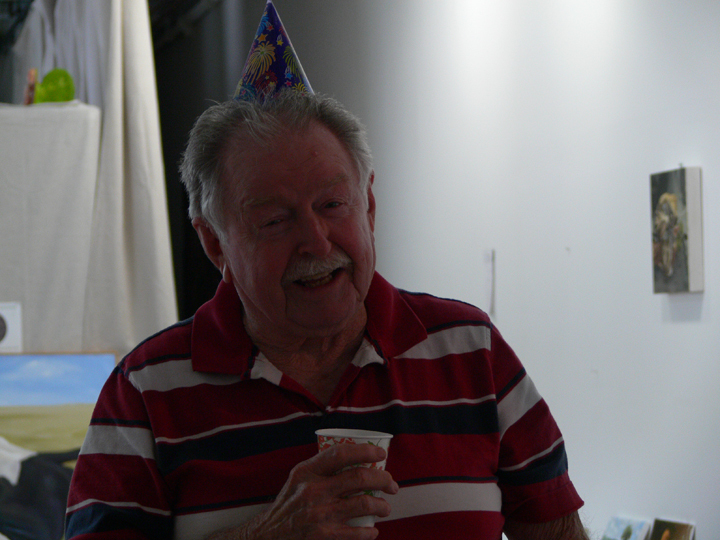 And celebrate the " Groove's" 81st birthday. There was cake:)! We are working on our next line up so stay tuned! 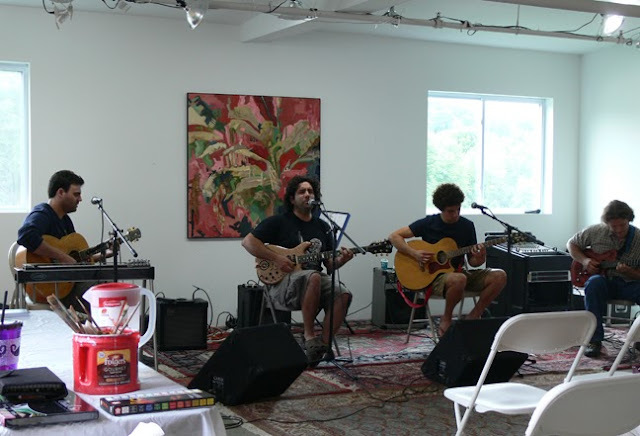 This July's Sketch Jam featured the Melon Kali Flowers with their newest member Kevin Farrell on Pedal Steel and Vocals. Kevin also played a set of original and cover tunes with Jeff Talbot.Nice Jeff! Listen, Draw, Play, and Eat Cake:)! 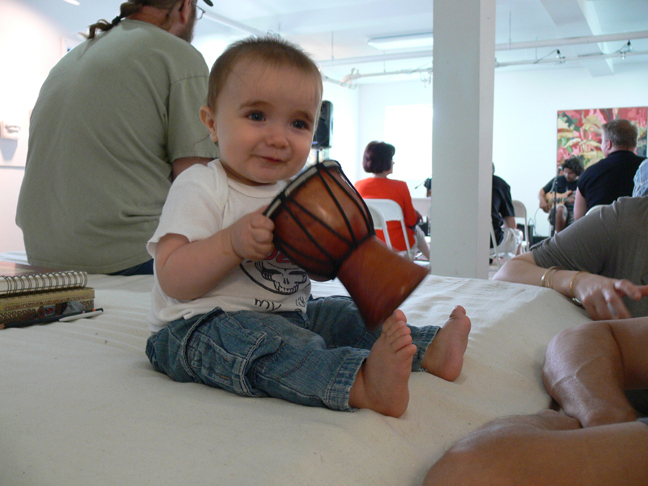 J Foster Music's Sunday afternoon Sketch Jams are open to everyone! (from the very young and of course otherwise:))! We are working on our next line up so stay tuned! 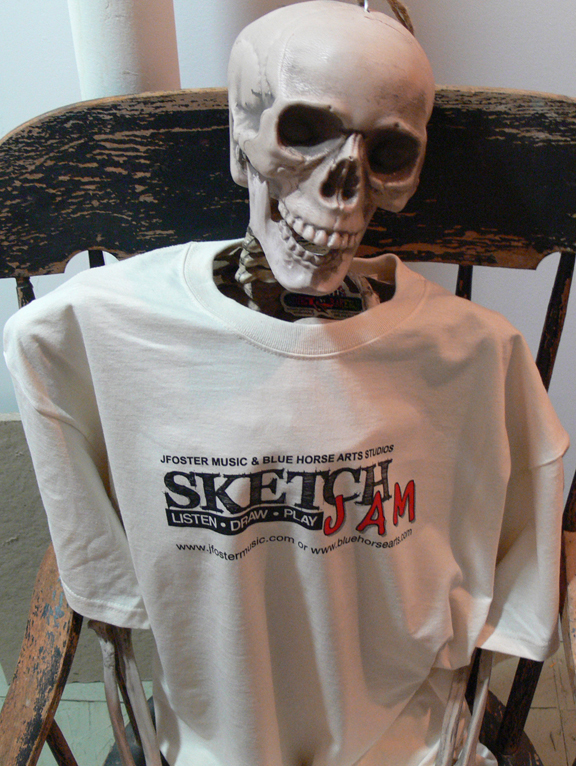 Xavier sporting the Sketch Jam Shirt! Alex and Becky Alves owners of the Shirt Bakery here in Watertown, made us some great shirts and bags. THANK YOU!!! Get 'em while their hot!! 250 Porter Street, Watertown, CT. Tomorrow 3PM-5PM at the Sketch Jam! Alex Alves will be crooning with Melon Kali Flower's Jay Foster on guitar and Kevin Farrell on pedal steel. And there will be CAKE! Our very groovy father will be hitting 81!!!! 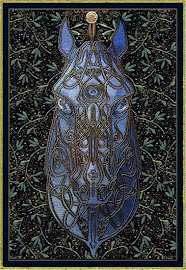 The blue bags are embroidered with gold metallic thread. Love Them! Alex and Becky always do gorgeous work! And Cailin:)! 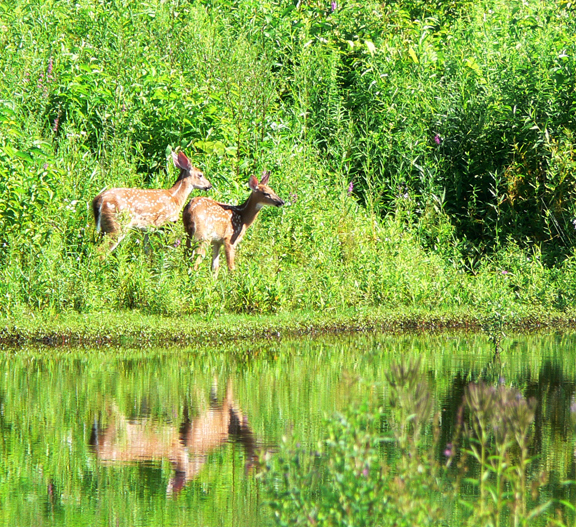 I went to the studio this morning early to capture the mist off of Heminway Pond in paint.I was so distracted by these to cavorting characters.The painting was a scrapper anyway. Ya win some you lose some. 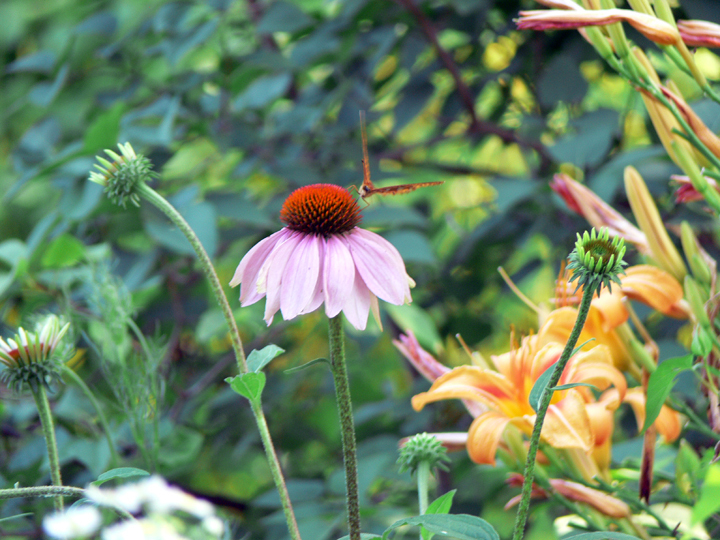 A lot of "somes" when dealing with fleeting atmospheric effects and the supersaturated permanent greens of summer:)! 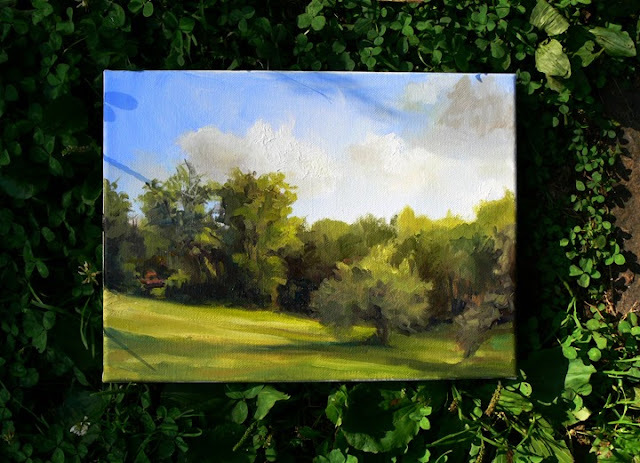 Plein Aire Painters are welcome to paint the pond and building behind the studios. 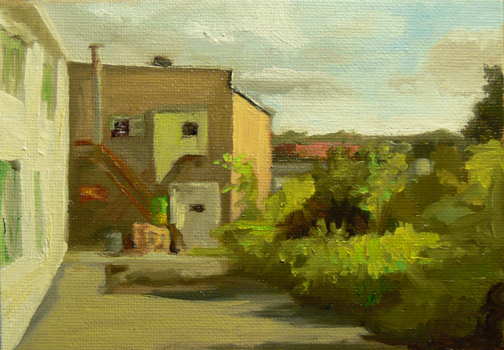 One hour oil sketch before sunset.The back side of the studio. 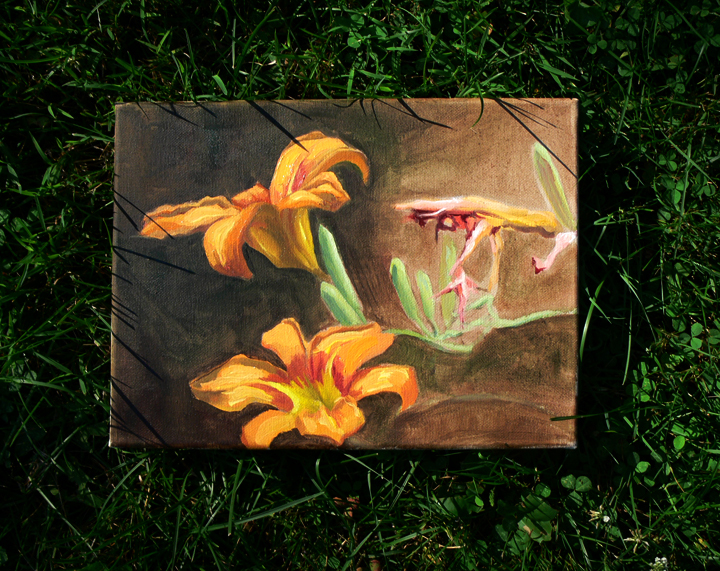 A couple of paintings from yesterday. 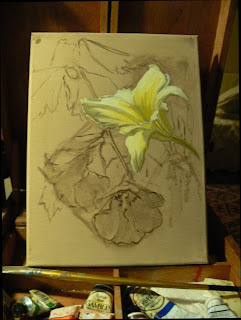 I spotted the flowers of a Rose of Sharon bush that has been hiding in the tangle of Forsythia. It must have been there for years! The storms we've had in Connecticut the past few winters have brought down some big trees apparently allowing enough light for this bush to awaken! 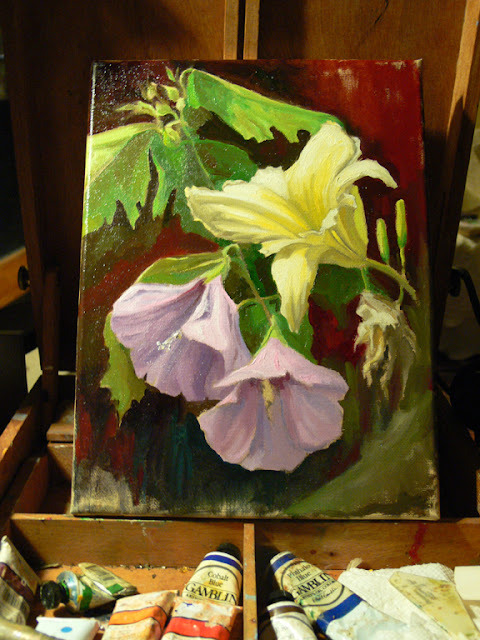 It's summer so due to my solvent allergy I'm working with pure walnut oil again,hence the major glare on the paintings and a bit of a color wash out. 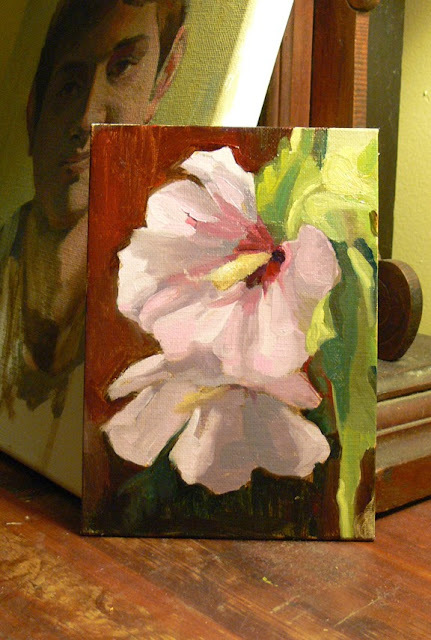 I did a quick study of the Rose of Sharon in the morning while the flowers were fresh. 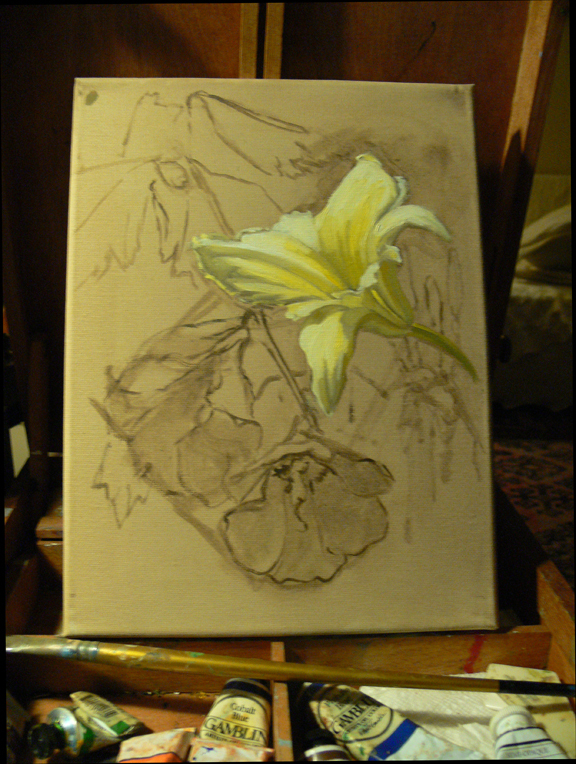 The cream colored Day Lilies are on their way out. As their name states you only get the day to paint them. 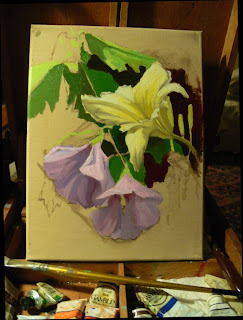 I've been trying to work a lot faster these days, just getting down the important information and not laboring over the form and finish so much.So these little painting are just a few hours of painting time. Flowers from observation don't really give you much more than a single session. Started the study late last night. and attempted to finish it off from memory this morning. I threw in some process shots below. 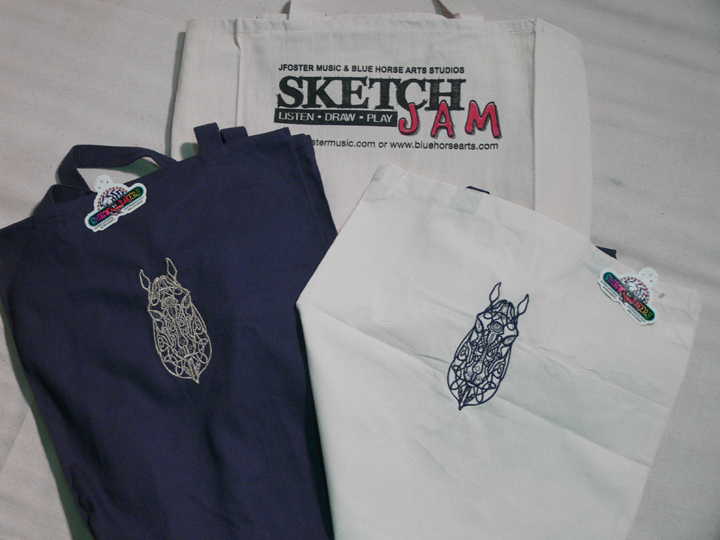 The Sketch Jam is Back for July!!!! 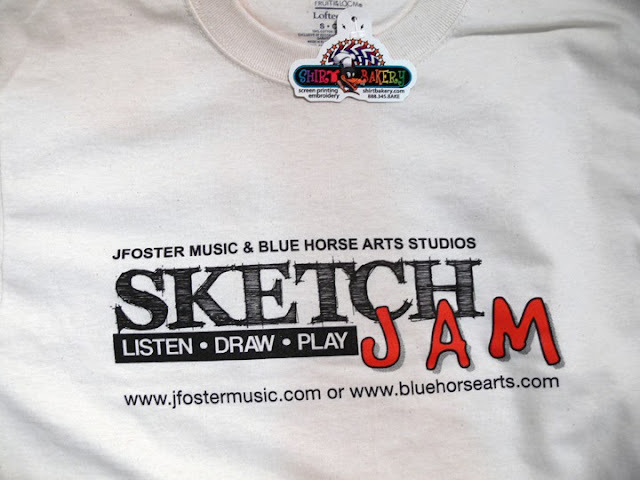 J Foster Music and Blue Horse Arts Studios are pleased to announce the July 2013 Edition of their monthly music and art event known as the Sketch Jam. For the uninitiated, Sketch Jam is a free, open to the public, musical event featuring local musicians. 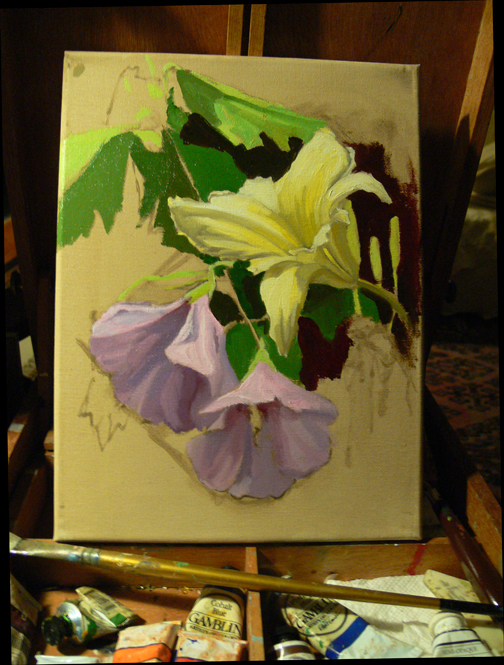 Artists are invited and encouraged to record the event using their sketch book, brush and canvas, or any form of artistic expression. Of course anyone that just wants to soak in this creative environment is also welcome. 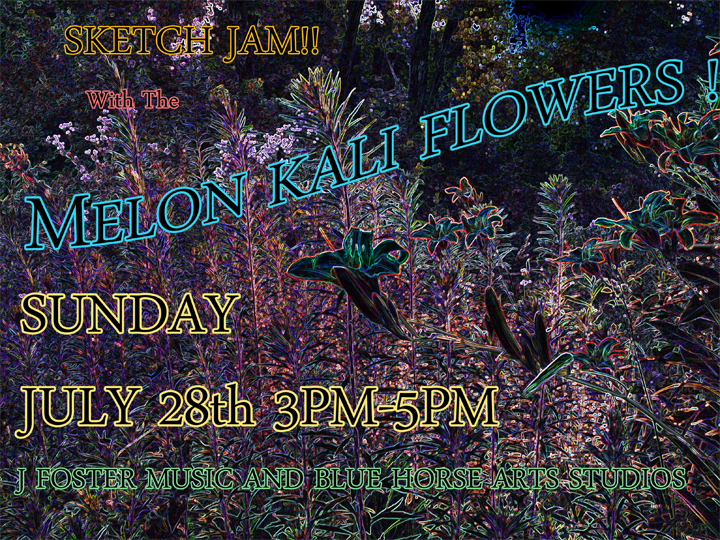 July's Sketch Jam will feature the Melon Kali Flowers with their newest member Kevin Farrell on Pedal Steel and Vocals. Kevin will also be doing a set of original and cover tunes with Jeff Talbot. If you're looking for a break from the dog days of summer, come on down for music, art, and good times. The event will held on Sunday, July 28th, from 3 to 5 pm at J Foster Music Studio located at 250 Porter Street in Watertown. As always, the Sketch Jam is free and open to the public, so come own down and have a good time. For more info email info@jfostermusic.com or call (860) 417-3243. I managed to survive a couple hours out there yesterday and today. The landscape and gardens are gorgeous right now in New England.The July temperatures,(not to mention our newly hatched mosquitoes) force you to work fast and stay loose!